Flashpoints are Star Wars: The Old Republicâ€™s version of instanced dungeons you might find in other MMO games â€“ with a twist. Flashpoints, like just about everything else in Star Wars: The Old Republic, reflect BioWareâ€™s story-focused approach to the game as a whole, offering players a cinematic group-centric experience loaded with storyline. Well, most of the time anyway. The team mapped out the player breakdown into three areas: Class abilities, Spec Abilities and Talents. Players choose their spec at level ten. 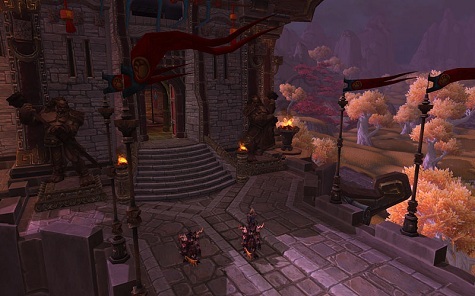 The big news on this topic is that WoW is doing away with Talent points and ranks. The new system allows you to choose a talent every fifteen levels. Once you reach that stage you will have three choices. They are working hard to make the system have no mandatory talents, in other words every talent has value and the player can decide how to use them. Also you can change talents in the game as easily as you change glyphs.